There are many games that will go down into PC Gaming history for their lasting impact on the industry and Grand Theft Auto III is one of them. 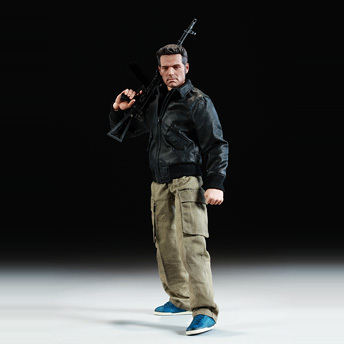 For the game's 10 year anniversary, publisher Rockstar Games has released a limited edition action figure based on the game's main character, Claude. 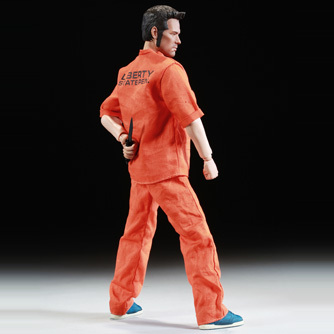 The figure stands at 12 inches and comes with accessories along with two different pieces of clothing: his prison outfit and the game garb he's known for. 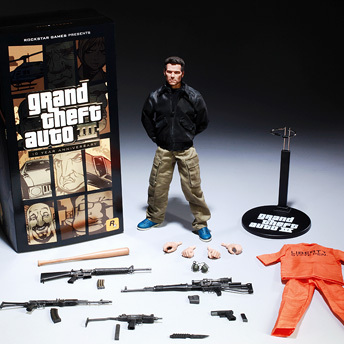 The action figure will retail for $149 and purchased directly from Rockstar Games. It is a limited edition run so grab your copy soon! I'm lucky enough to have played GTA3 when it first premiered. One thing that stands out is that there was a videocard driver problem for those owned GeForce4 series NVidia cards such as myself. A subsequent driver patch took care of that issue and off we were gaming the days away! Looking back, I remember the openness of the game and there was just so much you could do in the game, regardless of the missions and guidelines. How cool was it that whenever our character Claude, drove in a vehicle, you could actually modify the songs! It's little touches like that, that are endearing. I don't think I ever finished the game though!